SOS Children’s Villages’ emergency response program (ERP) in Amman empowers women and children to ensure a better future for their families. 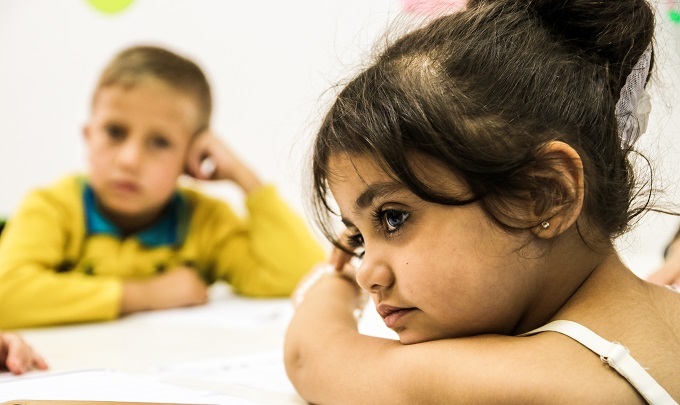 At a community-based organization (CBO) in eastern Amman, Syrians and Jordanians sit side-by-side in their classrooms. 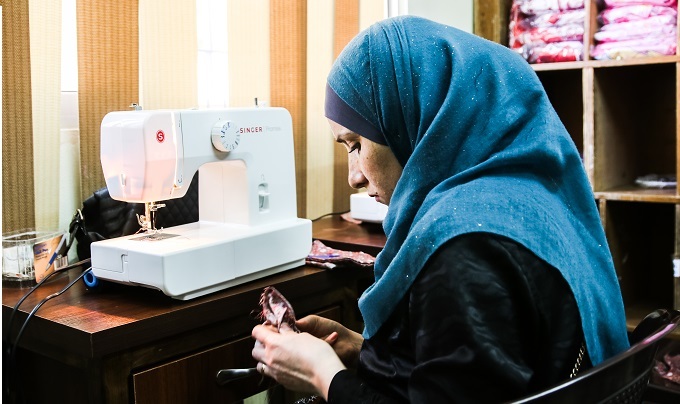 SOS Children’s Villages partners with this CBO to provide literacy classes for girls, sewing and embroidery classes for women, and psychological and emotional support for both. It is a space in which these women have an opportunity to change the course of their futures. More than 650,000 Syrians have fled to neighboring Jordan since 2011, making it one of the largest destination countries after Turkey and Lebanon for Syrian refugees. While many other organizations are working in and around refugee camps near the border of Syria, SOS Children’s Villages is focusing on those living on the fringes of Amman. Syrian refugees in the capital live in poor areas, where both they and the host community face great economic, service provision and resource challenges. Unemployment rates among these populations are high. Families are therefore often female-headed and girls are commonly required to support the family instead of pursuing their education. 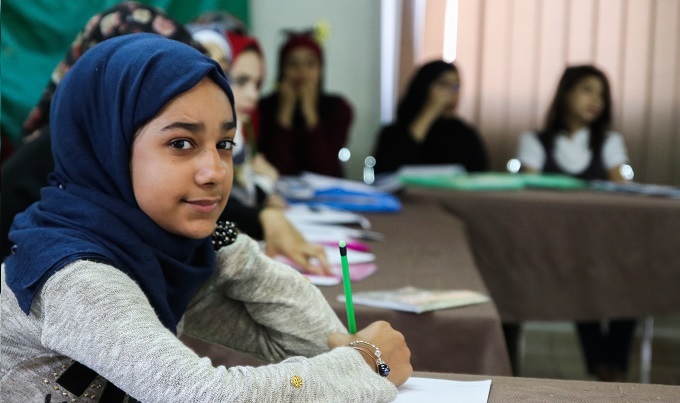 With the help of SOS Children’s Villages and the CBO, 60 women and 270 children are integrated into the Jordanian labor market and the education process. 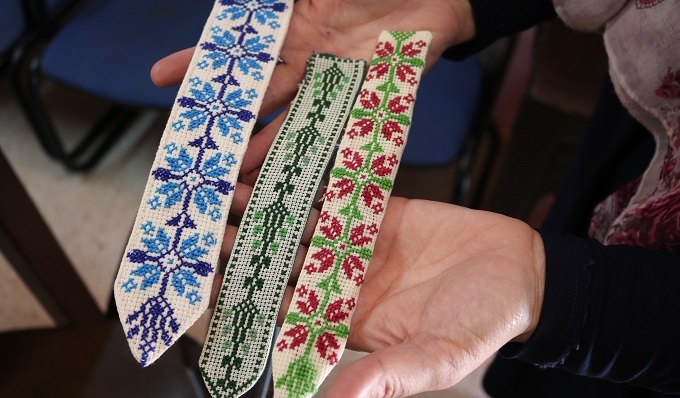 “It’s necessary for them to learn these handicrafts, so they can help their families with the new skills that they have learned. Especially Syrian participants love to learn a lot and make progress – this way they can make an extra income,” explains Jameeleh Alaweneh, SOS Children’s Villages program coordinator. Women in the training are eager to learn both from the teachers and from one another. Many of the Syrian participants eagerly share their skills and experience in marketing products in their hometowns back in Syria. Through the vocational training, these women boost their employability skills and are provided with support to find employment. In a few months, they will sell their products together at a local market. Many of them hope to open their own businesses in the near future. According to the Migration Policy Centre, more than 100,000 of the 320,000 registered Syrian children in Jordan are out of school. Children enrolled in the ERP are being taught Arabic, English and maths. The classes are based on the national curriculum, in order to facilitate the students’ eventual transition back to formal education when their families’ situation improves. “When these children first joined the classes, they didn’t know how to read or write, so we had to start by teaching them the very basics,” says Batoot Tuara’ani, who teaches the literacy class for the older children. Many participating students have been out of school for years, due to the conflict, economic challenges or early marriages, which prevented them from further pursuing their education. Through the program, SOS Children’s Villages Jordan works to ensure these students develop the confidence and skills that will allow them to further pursue their education. “It’s absolutely vital that we work with parents to convince them that the future lies in education. Education for girls, in particular, is very empowering. It can lift the family out of poverty. It can ensure much better prospects for the livelihoods of the girls once they become adolescents and adults”, says National Director, Muna Hamdan.